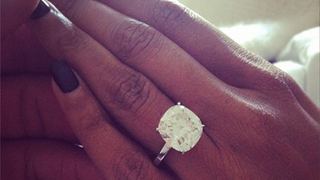 Dwyane Wade is officially engaged to his longtime girlfriend, actress Gabrielle Union. They both seem pretty happy about it, according to Twitter and Instagram. Wade and Union have been dating since 2007. Congrats, y'all!